Recent studies came up with a statistical figure that approximately fifty-eight million men and women are overweight; roughly forty million are obese; and around three million are morbidly obese. 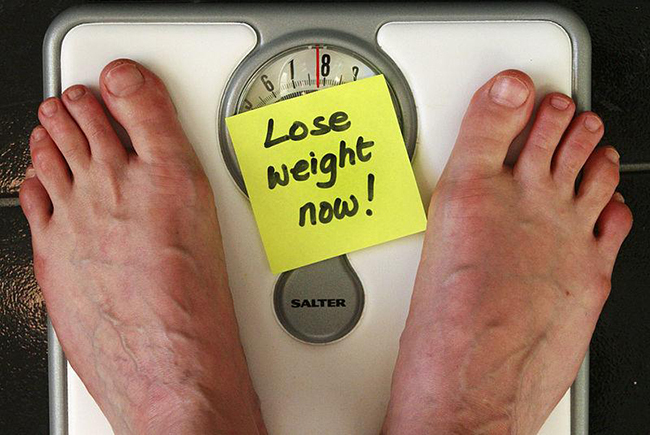 Another study said that eight out of ten adults over twenty-five are overweight. Being overweight and obese has been an on-going concern for a lot of adults. Surveys say that the population of obese people has increased drastically in the United States alone, and that cases of obesity-related health risks have grown at an alarming rate. Energy imbalance. This occurs when the amount of calories consumed does not amount to the amount of calories used or burned. Calorie consumption. The availability of a lot of pre-packaged foods, fast food restaurants, and soft drinks which are generally high in fat, sugar, and calories contributes to an excessive calorie intake. Calorie usage. People are becoming more and more sedentary, and the lack of physical activity is causing the excess calorie to become stored fat. Environment. People spending too much time inside the house in front of the television may find it less enticing to go out for a walk or engage in any sporty activities. Genetics. Genes play a part in passing on disorders that may cause obesity. Diseases. Illnesses like Cushing’s disease, Bardet-Biedl syndrome, and Prader-Willi syndrome may cause obesity. Medications. Drugs such as steroids and some antidepressants may cause significant weight gain. Obesity isn’t just a simple concern for one’s appearance, it causes a multitude of health dilemma that can be harmful to the health. Among these complications are: Insulin resistance, type 2 diabetes, hypertension, stroke, heart attack, congestive heart failure, cancer, gallstones, gouty arthritis, osteoarthritis, sleep apnea, and pickwickian syndrome. Watch what you eat. This doesn’t mean you have to starve yourself or count how much you eat. A balanced diet makes sure that your body is nourished with the necessary nutrients needed for the day. Integrating a simple exercise routine for an hour or two everyday may prove helpful to burn off calories you ate. This may be as simple as walking a block or two, doing a set or two of sit-ups, or performing basic stretching exercises. Weight loss surgery is performed only for severe obesity cases where diet and exercise has very little effect. This is advised for people suffering from serious obesity-related health concerns. The operation aides in weight loss by restricting food intake and, in other operations, interrupt the digestive process. Living with obesity is difficult. Much more if you’re living with its complications. Keep in mind that you don’t have to stay obese. Stand up and take action. Rid yourself of this heavy burden and work your way out to a slimmer, healthier you. Take comfort in knowing that you have the power to save yourself from obesity.